Application – Sendai Smart Machines Co., Ltd.
Industrial IoT (IIoT) is a wide variety of IoT capabilities which are implemented in the Industrial and Manufacturing space. Introduction of Industry 4.0 in 2010 visualized the concept of connected enterprise with interconnecting industrial assets through the internet. IIoT devices and their networks provide us with a lot of advantages of predictive and proactive maintenance, real-time monitoring, remote diagnosis, asset/resource optimization, and so on. Based on our technology-proven reference design and technical discussions in details with our client, SSM’s engineering team designs and develops vibratory energy harvester device and module customized on client’s specification basis. 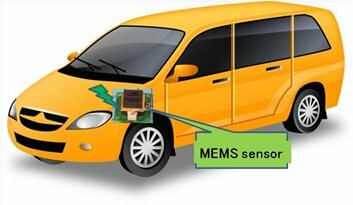 Based on our technology-proven reference design, Sendai Smart Machines (SSM)’s engineering team designs and develops vibratory high-power energy harvester device and module for real-time monitoring of highway road surface conditions. Sensor module attached in a suspension of a patrol car senses road condition and transmits the data to a data center. Big data collected in a central server from each patrol car are analyzed periodically for maintenance planning purpose. 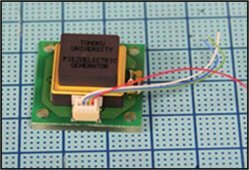 SSM’s vibratory energy harvester supports cost-saving and maintenance-free sensor solution, which can be easily assembled on a large number of patrol cars.